Spread the exciting news about your upcoming wedding with friends and family with our Sunflower Wedding Invitations. 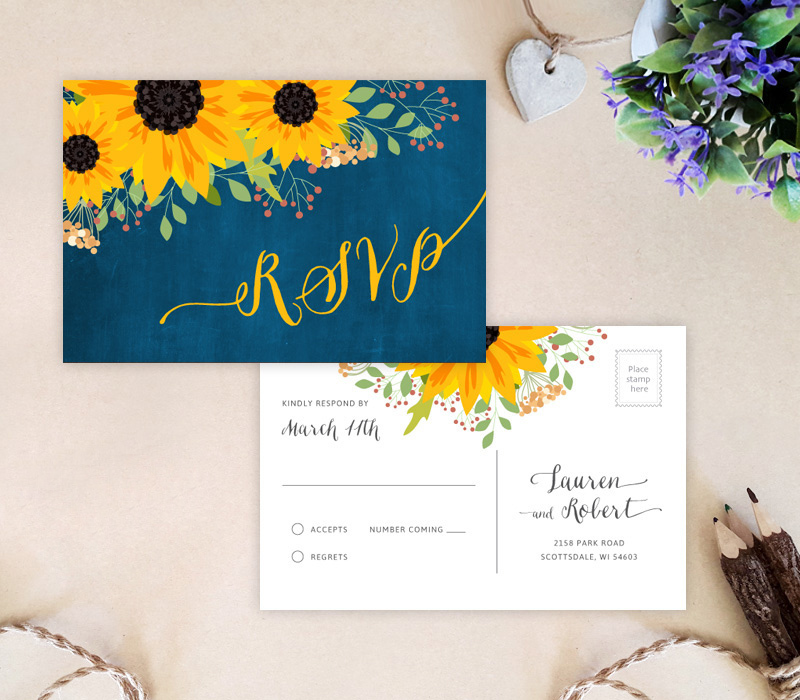 Our bright sunflower wedding invitation set has just what you need to make the announcement, including R.S.V.P cards along with invites. 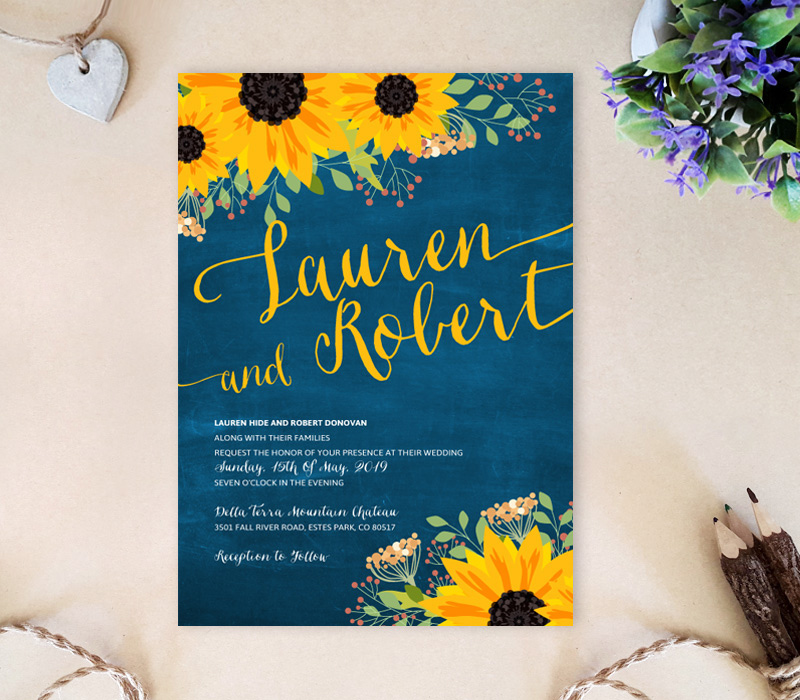 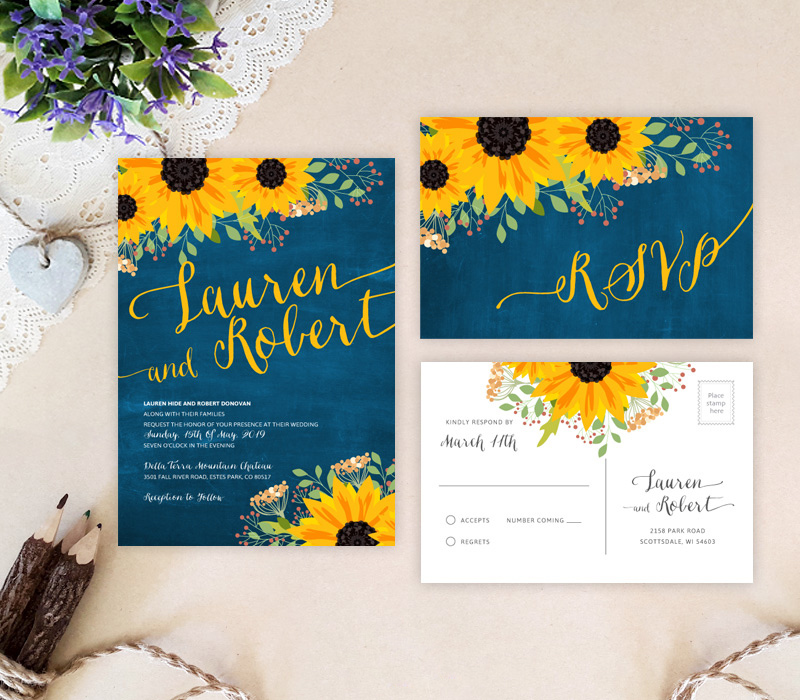 Each card features exquisite calligraphy surrounded by yellow sunflowers on a royal blue chalkboard-style background.